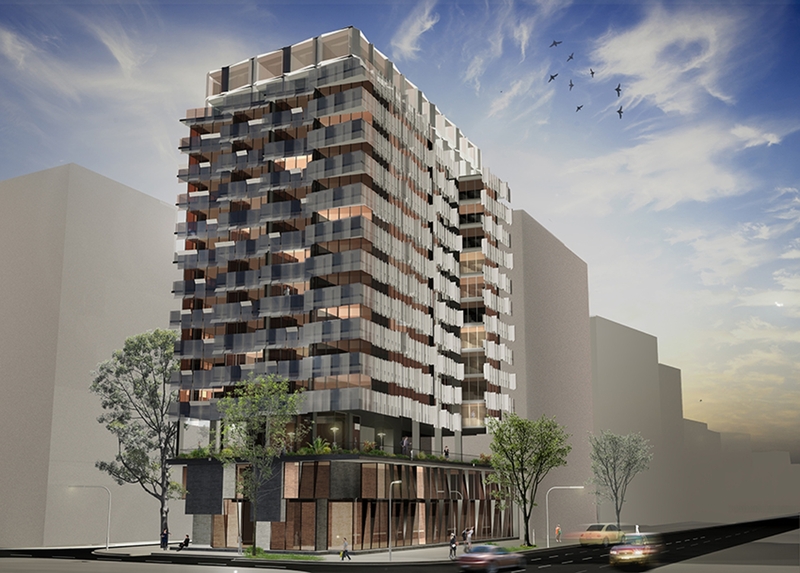 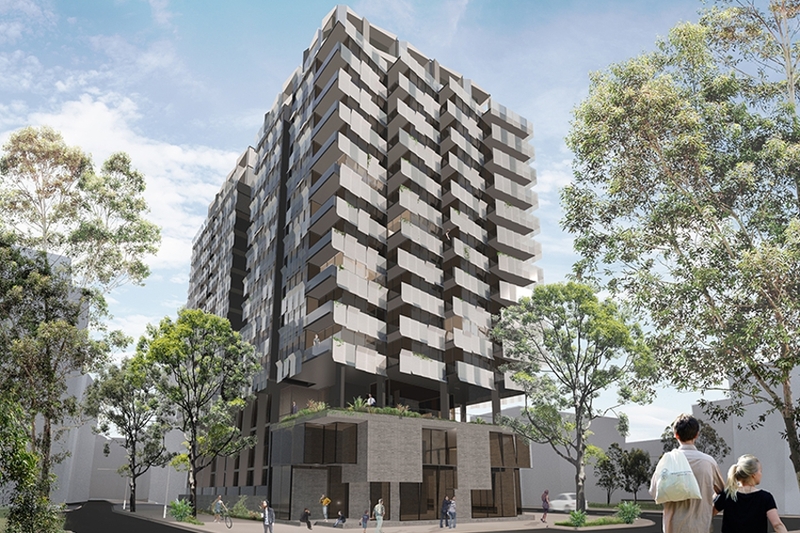 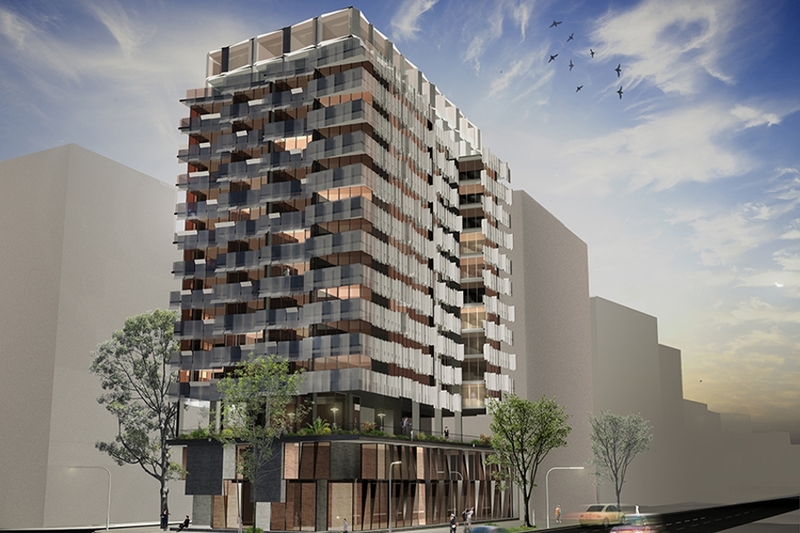 This apartment project was designed as part of the City of Sydney Design Excellence competition program, for a site in Green Square owned by BridgeHill Pty Ltd. 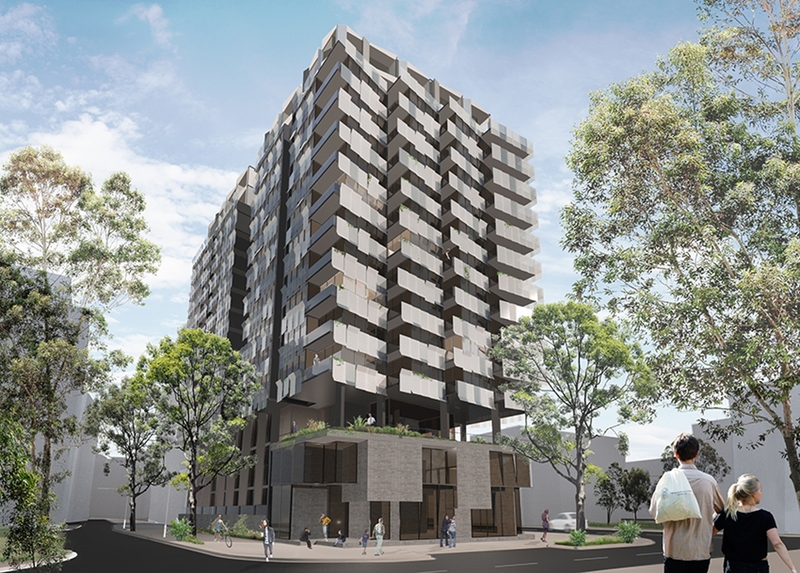 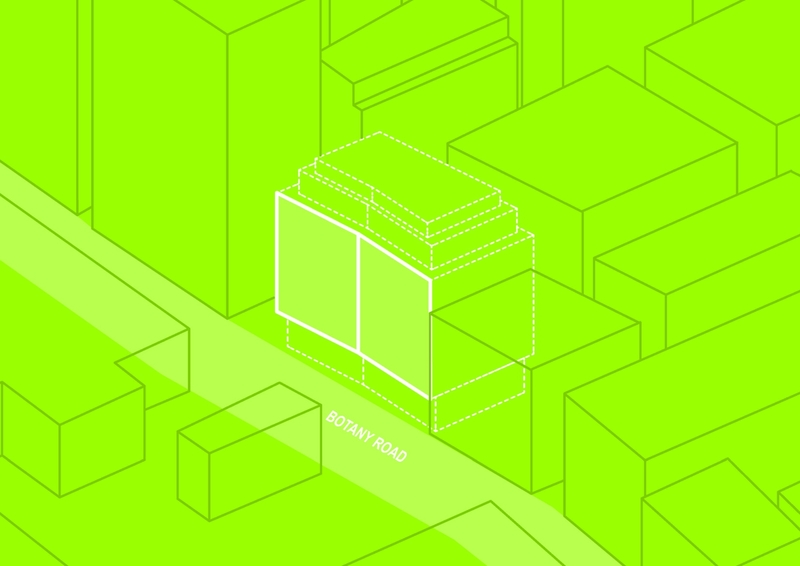 The site was a difficult one, fronting Botany Road (a key arterial route connecting Sydney City with the airport and southern suburbs) and had required a significant amount of square metres roughly equivalent to the allowable building envelope. 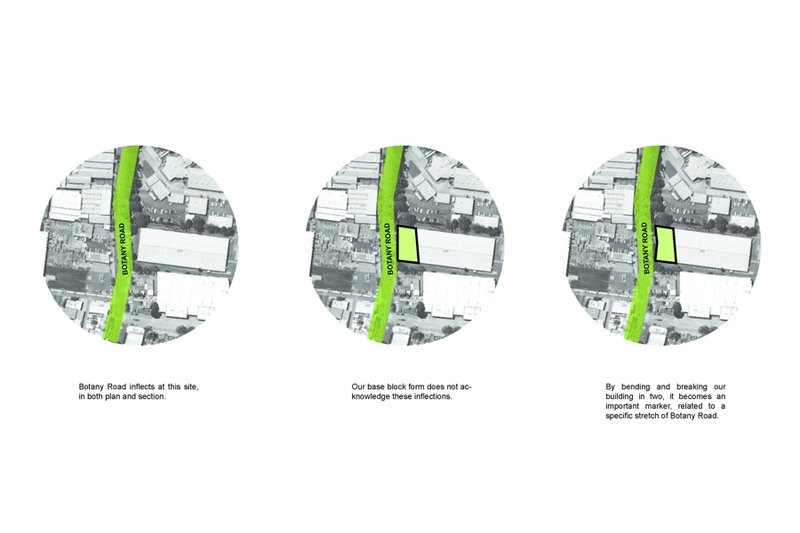 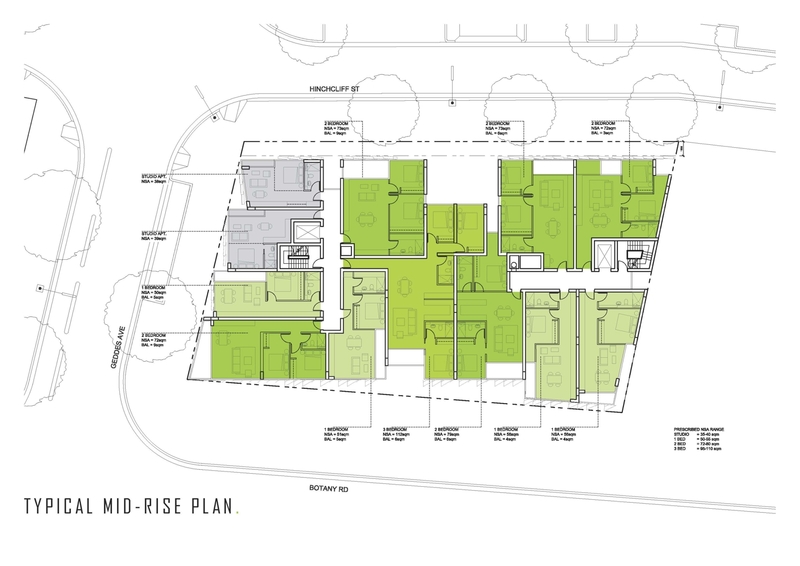 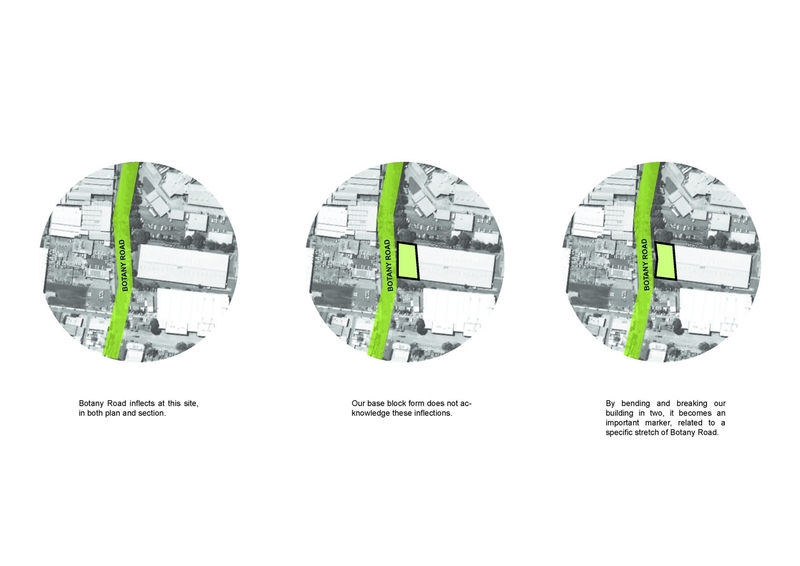 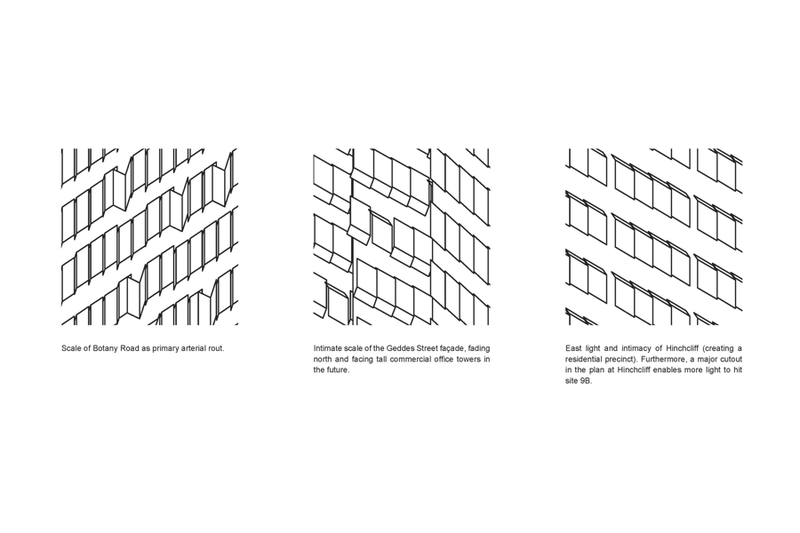 Given this, our strategy was centred on a desire to maximize amenity to the apartments and to the building and precinct as a whole – within the volume constraints present – while also optimizing cost benefit within every design move. 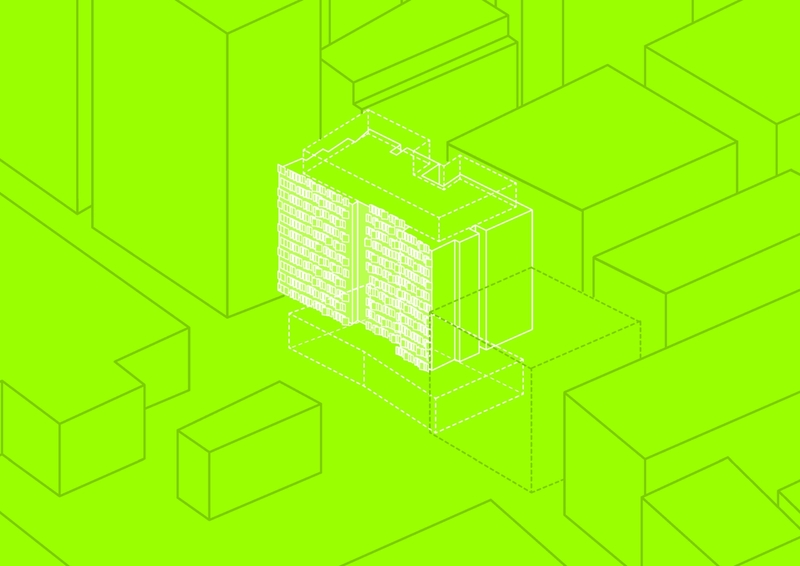 The first move was to split the building into two cores thus creating a seemingly complex but repetitive apartment layout that resulted in 90% of all apartments having access to air and light from two sides. 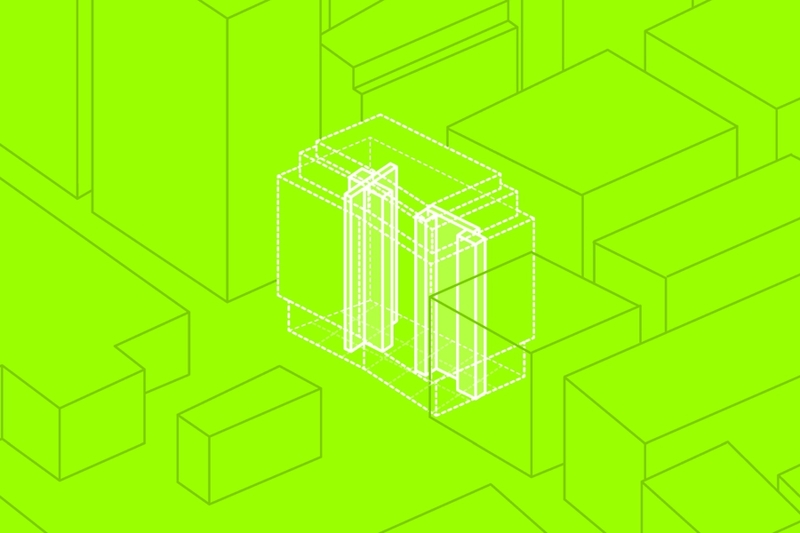 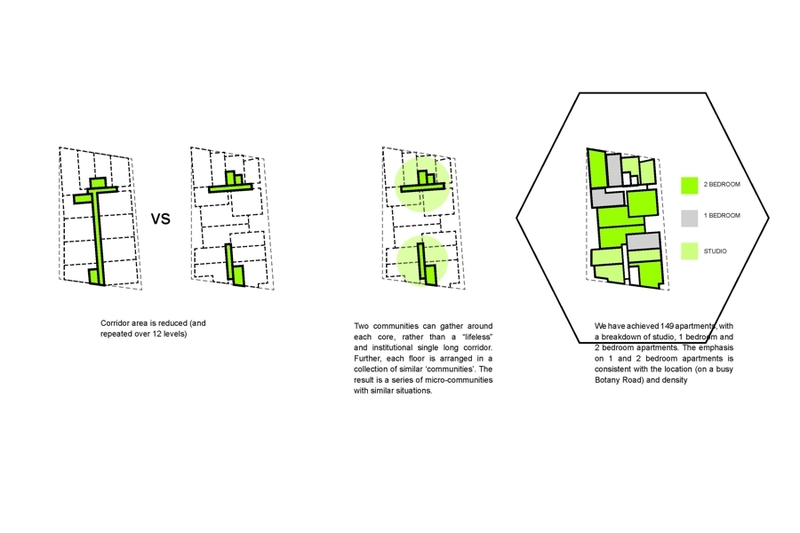 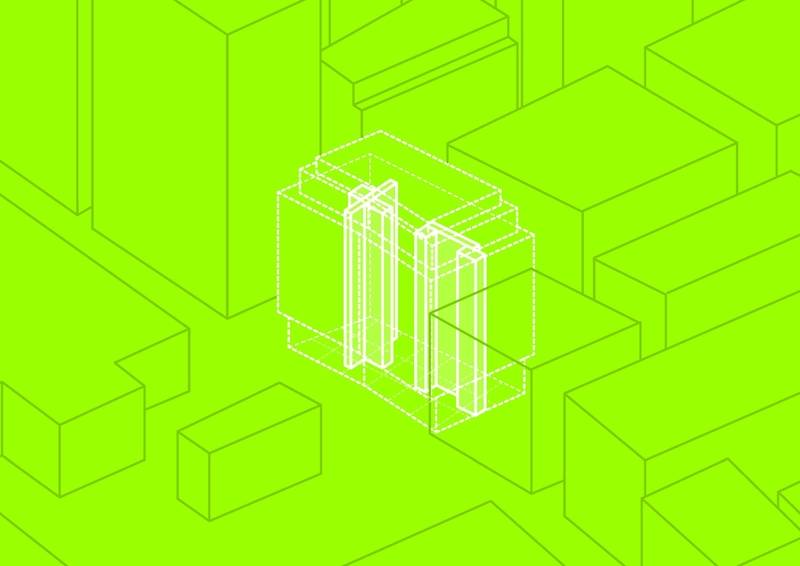 By grouping the apartments around two cores, the institutional quality of a long corridor was avoided and smaller communities could be created at each core throughout the tower. 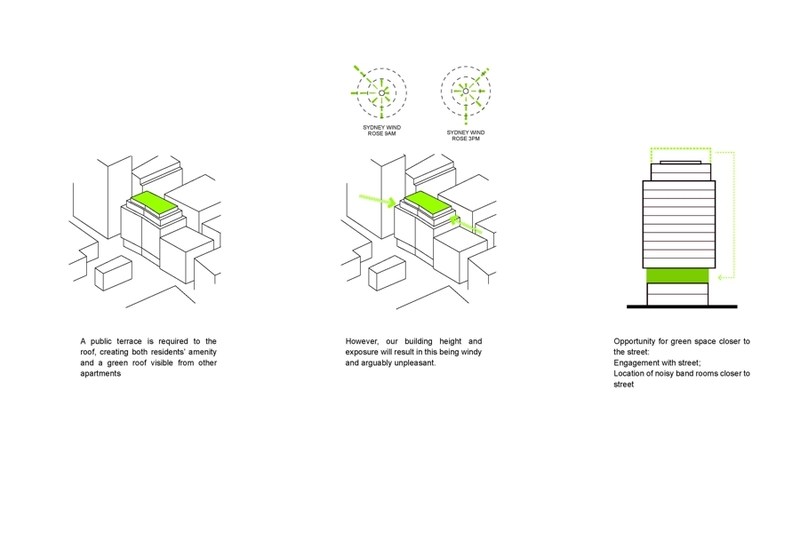 Secondly, the requirement for a roof terrace was rethought, proposing instead a larger terrace on top of the podium building. 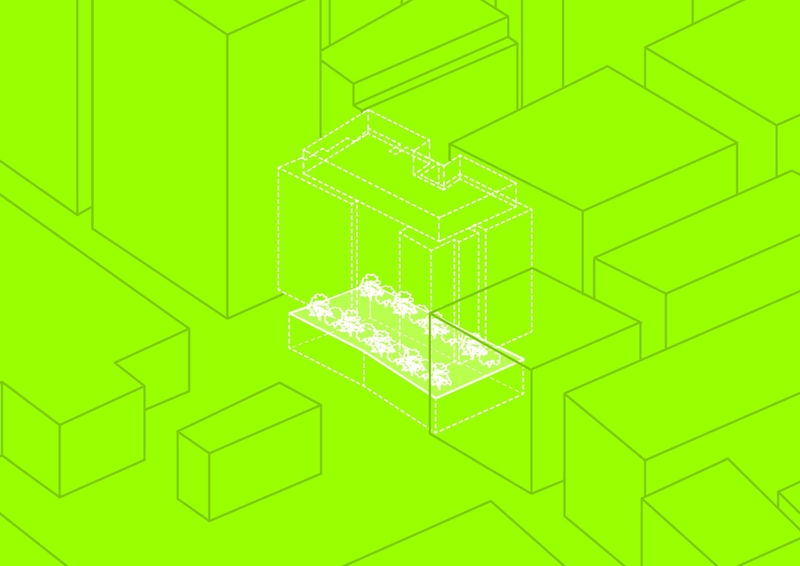 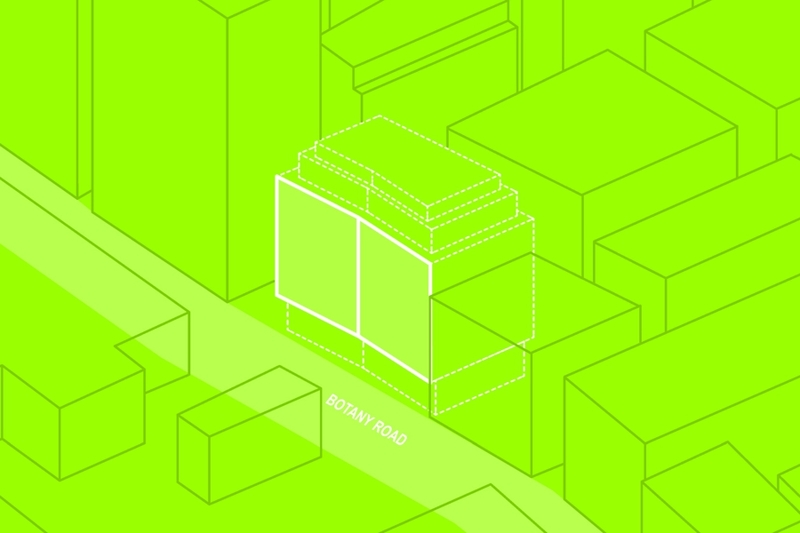 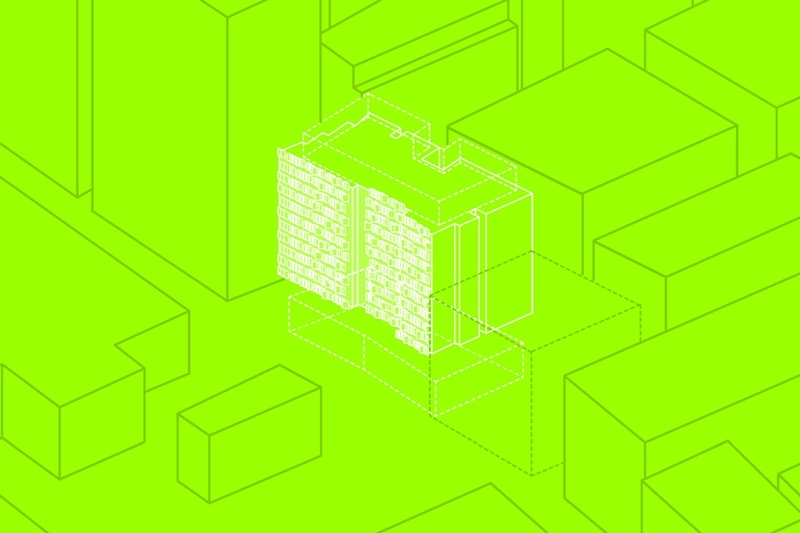 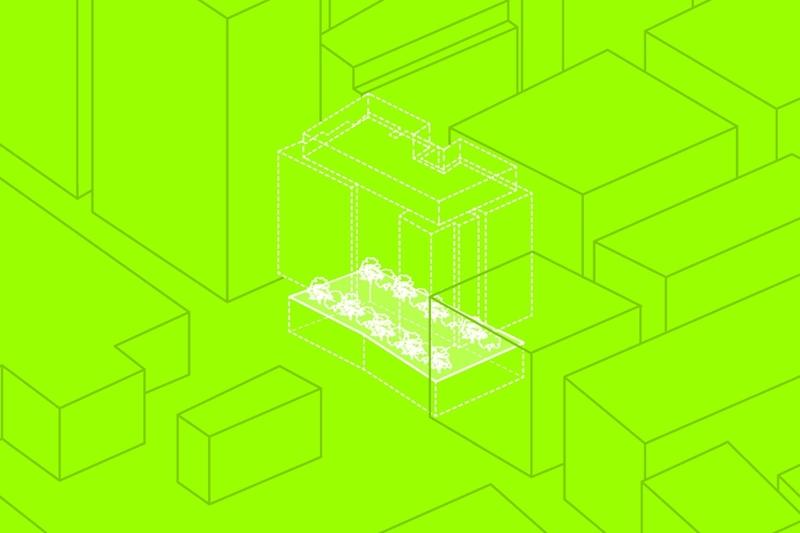 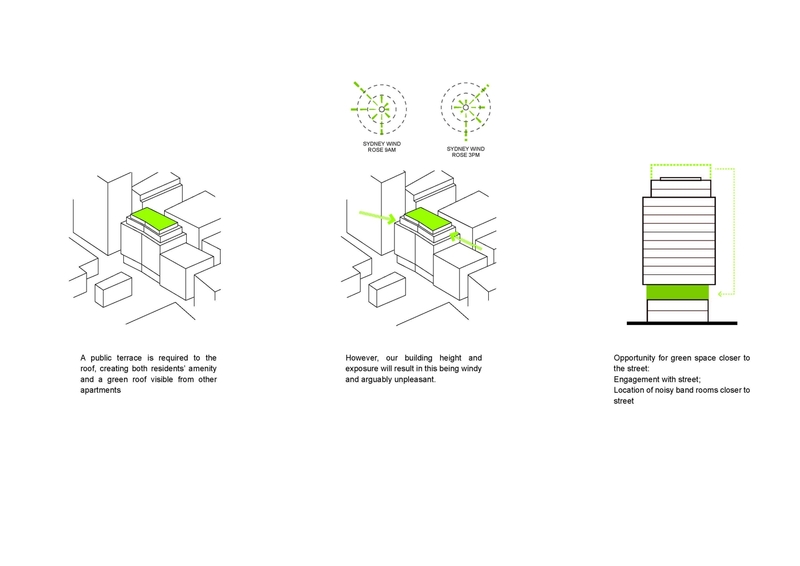 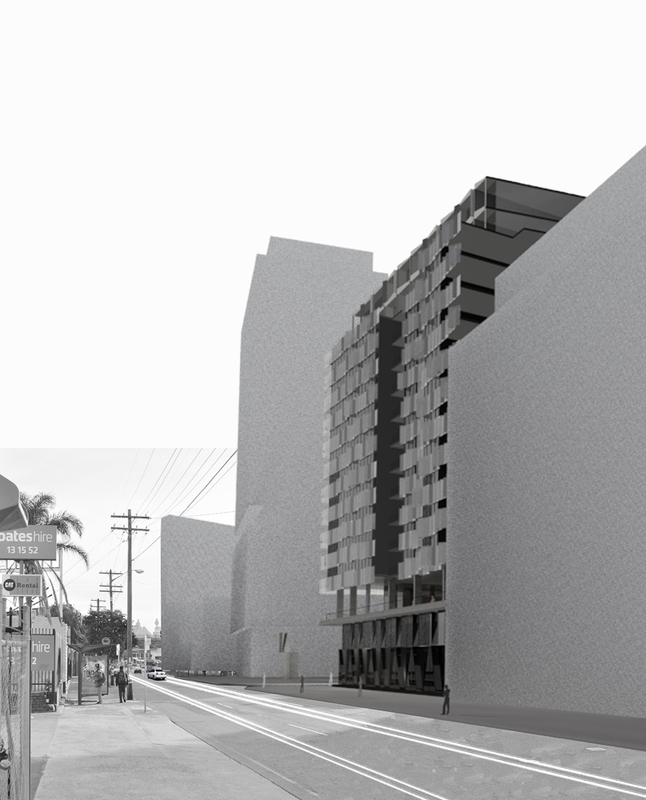 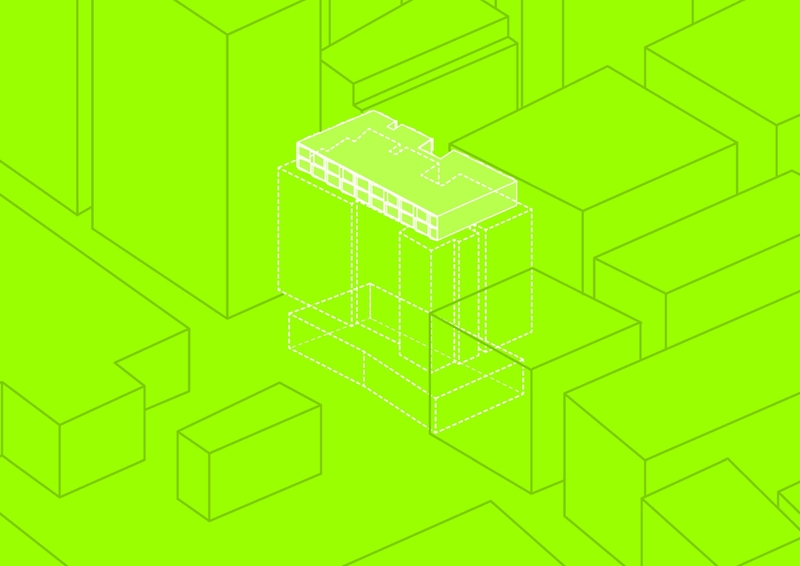 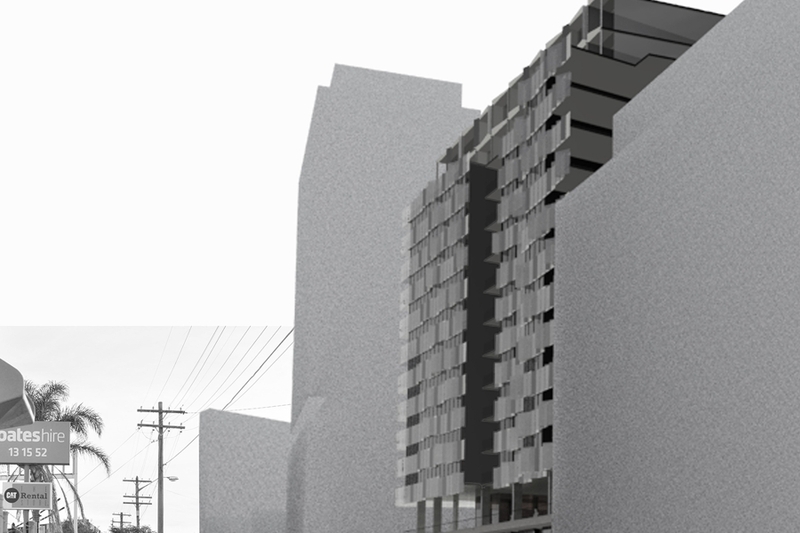 In addition to avoiding the high winds and isolation of a roof terrace, the podium terrace would be shaded by the tower above (perfect in Sydney’s climate) and could also provide the location for an expanded series of community amenities. 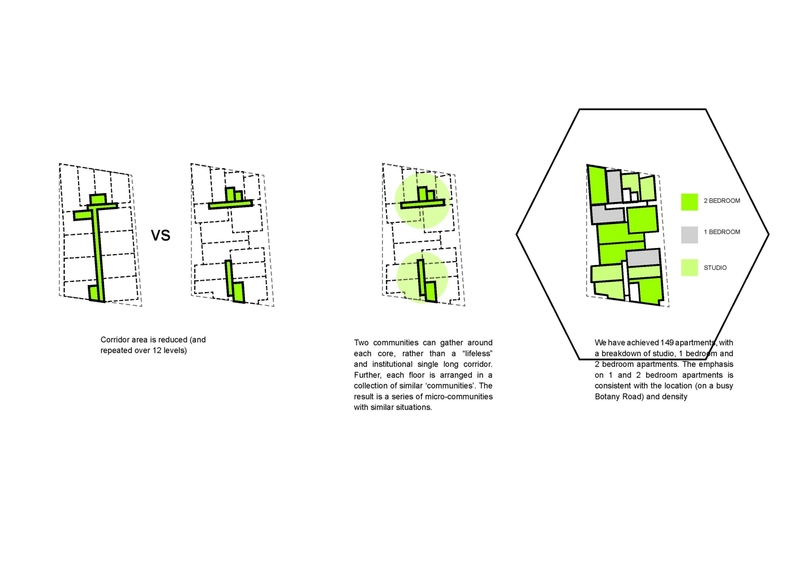 A community garden was also proposed at this level rather than decorative planning. 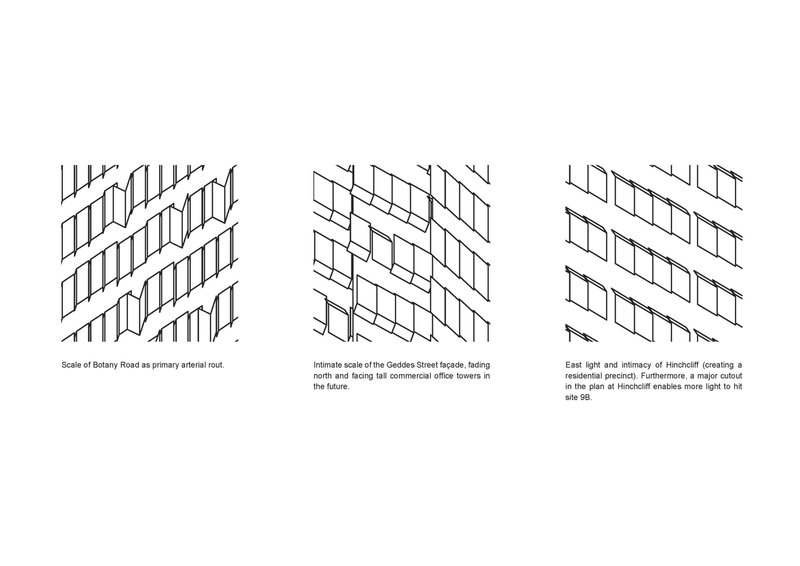 Finally, the limits on the building envelope pushed all modulation to the façade skin, a system of perforated and folded sheets that adjust as they move around the different elevations of the building: Botany Road panels reinforce the large scale urban moves and create noise and sound protection, the north façade panels provide additional shading and the panels to the quieter eastern elevation incorporate planter boxes.